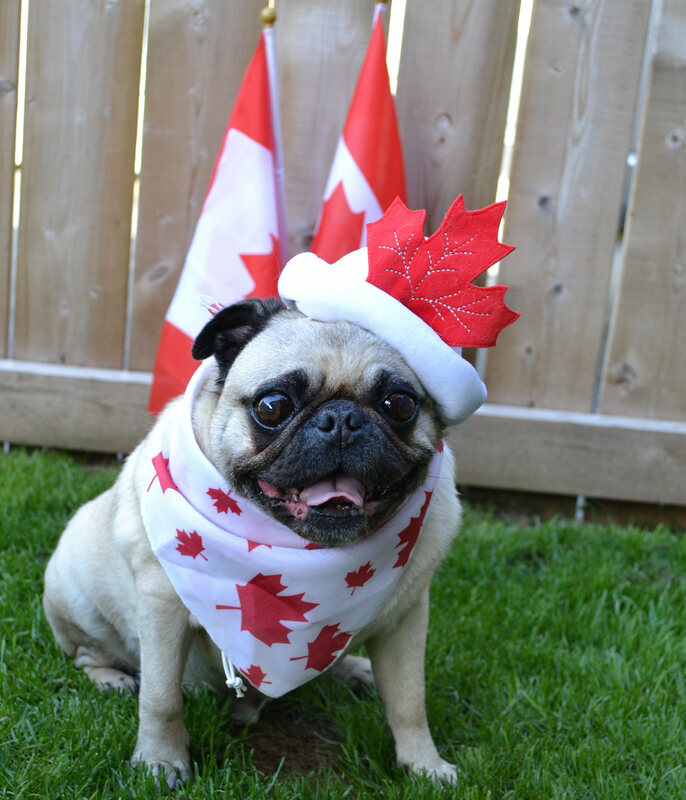 Pug wishes you a happy Canada Day! Today we celebrate our neighbors to the north! Canada Day is a federal holiday that falls on July 1st each year and commemorates the anniversary of the day when Nova Scotia, New Brunswick, and the Canada province were united together in 1867. 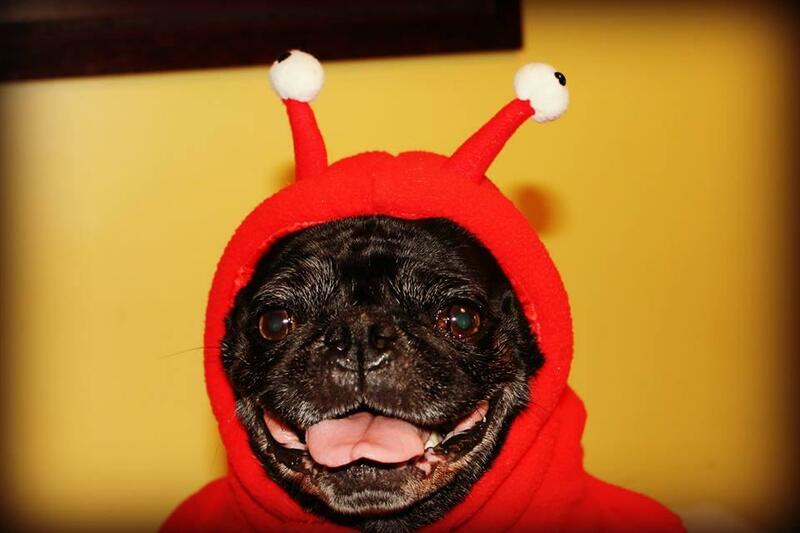 Pugs have excellent taste, and they know what they like. 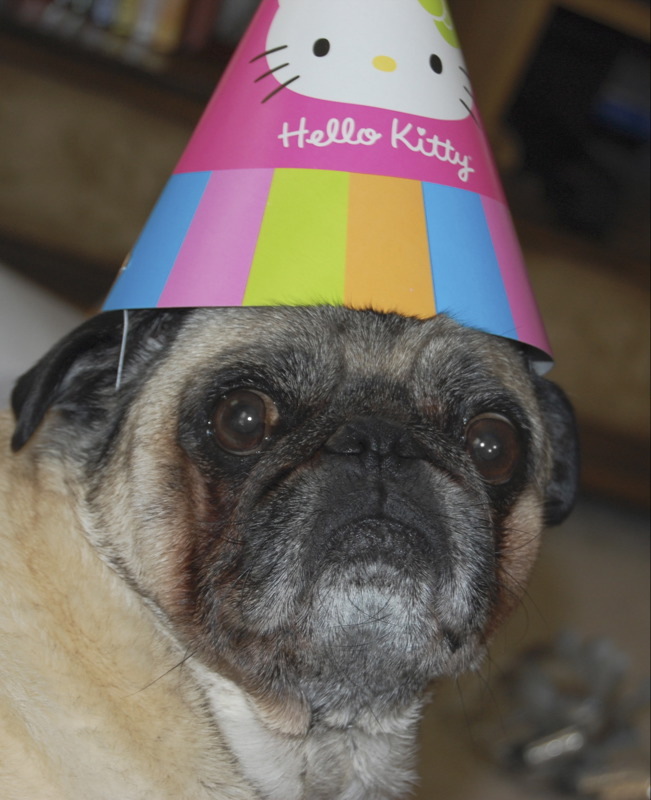 If you’re pug is making a face similar to the one below, it is a sure sign that he does not approve of your choice of birthday decorations. Happy Friday! Hang in there, another glorious weekend has almost arrived! Here’s a happy pug to help get you through the day! 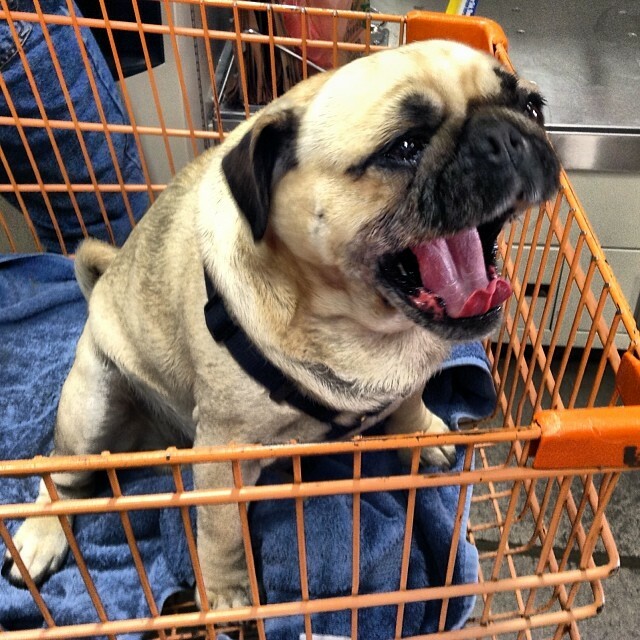 Your pug is your biggest fan! 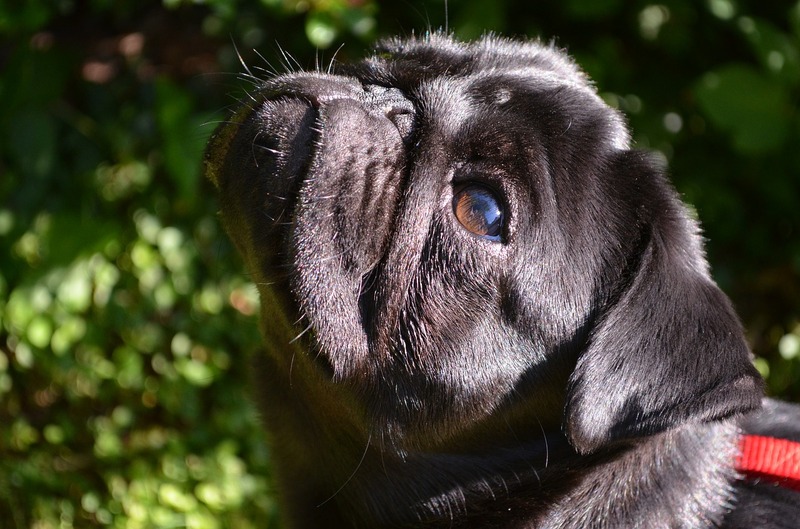 It’s easy to fall victim to your pug’s irresistible puppy dog eyes, but important not to forget that they are looking up to you as the leader of your family pack! Make sure that you are being a good pack leader by leading your dog on walks and following proper pack etiquette to ensure order and happiness for your precious pooch! Fall is in full swing, so it’s sweater time! There’s something distinctly satisfying about pulling out all your sweaters for the fall and winter season, and it’s about that time! 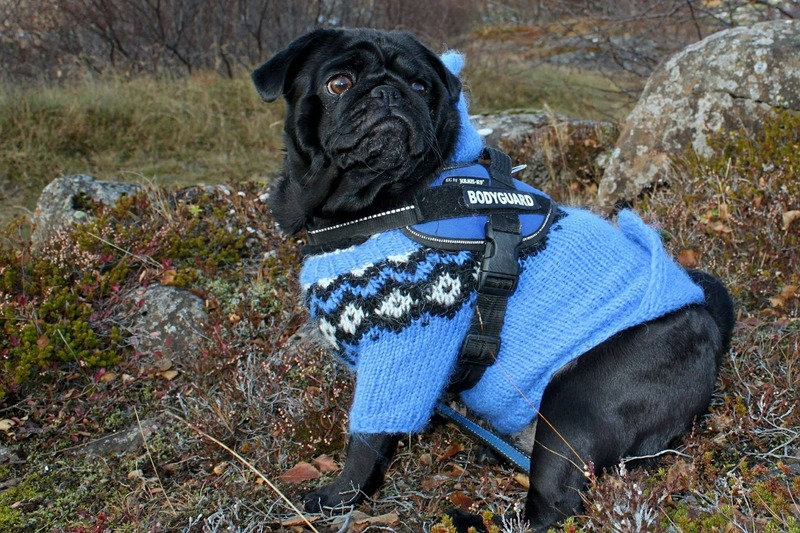 While you’re at it, grab all your cold weather gear like coats and sweaters for your pug too! It’s a good idea to make sure they are nice and warm (and oh-so-cute!) on those chilly fall walks! Is it food time yet? 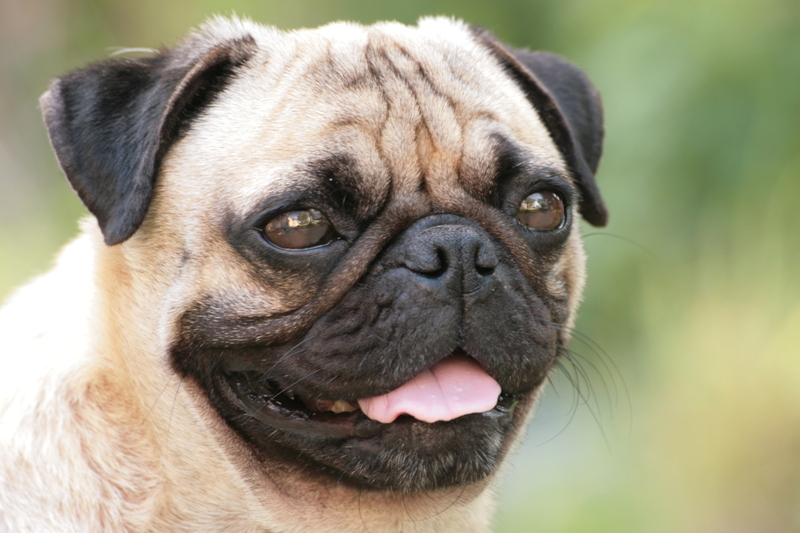 We love pugs, and we know that after a busy day of playing with her favorite toys and romping around outside, our pug is ready to dive into dinner head first. 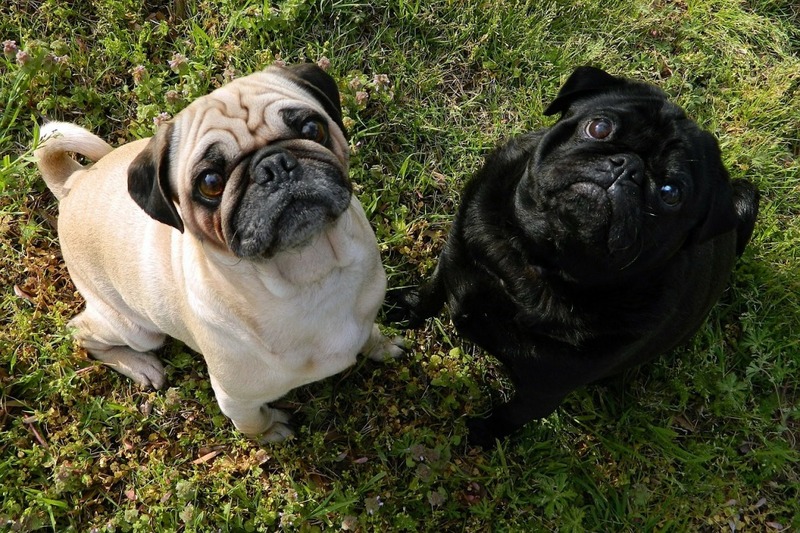 It looks like these two precious pugs are already begging for food! With those adorable faces and puppy dog eyes, who could resist their charms? 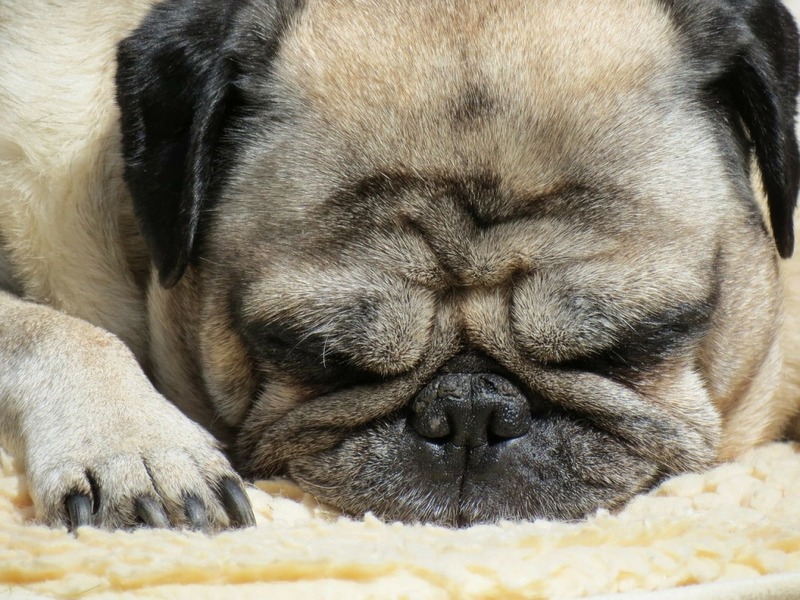 We have a sneaking suspicion that our pugs feel our pain when we are struggling to get up and get moving on a Monday morning. Luckily they are able to slip back into peaceful slumber after breakfast! 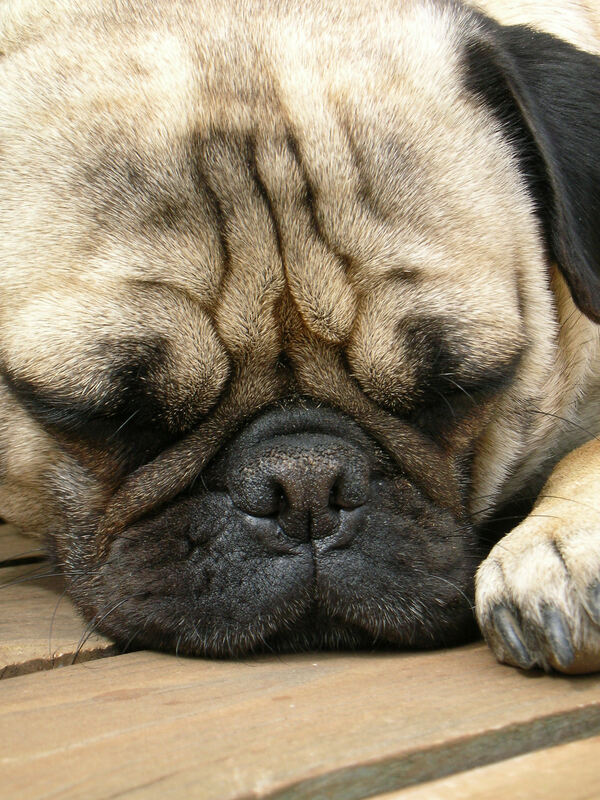 For pugs, any time is a great time for a nap! And any place for that matter! ;) Sometimes we are a little jealous at how easily they can sneak into dreamland!